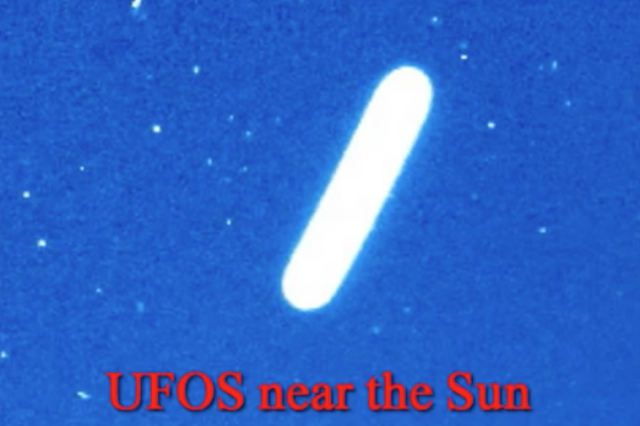 UFO SIGHTINGS DAILY: Giant Cigar Shaped UFO Passes Near Earths Sun, April 12, 2016, Video, UFO Sighting News. Giant Cigar Shaped UFO Passes Near Earths Sun, April 12, 2016, Video, UFO Sighting News. 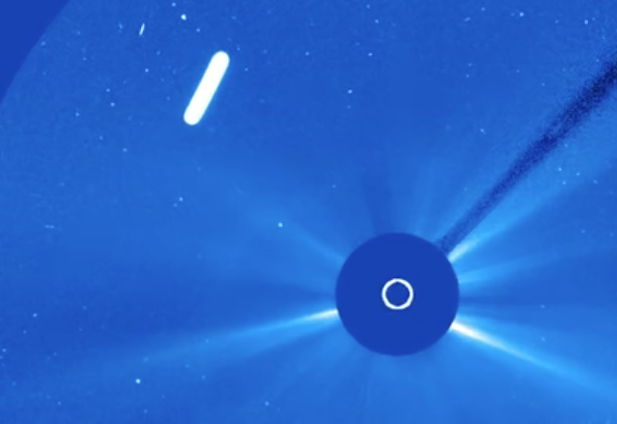 Here is a long UFO caught near our sun this week. Its a cigar UFO, which means its shaped like a cigar. These UFOs are actually seen throughout human history. As a matter of fact, back in 1870 one of the earliest cigar UFOs ever caught on photo was seen. Click here to see it for yourself.